CodeClan, Scotland’s first accredited digital skills academy, celebrates its first birthday this week with welcome news that its first 16-week software development course in Glasgow will start in January 2017. The ground breaking 16-week course will be delivered by CodeClan in The Tontine, Glasgow’s new high-tech acceleration and growth space for young aspiring businesses. Over 150 students have embarked on CodeClan’s innovative course during the last 12 months, with 90% going on to secure roles within 6-months of completing the course in Scotland’s vibrant digital sector. Many have gone on to work with some of Scotland’s fastest growing tech start-ups including MakeitSocial, GeckoLabs and Intelligentpos, as well as major international companies such as Adobe and Deloitte Digital. In the past year, CodeClan has moved into its permanent premises within Edinburgh’s thriving CodeBase and worked with the SQA to become the first digital skills academy in the UK to offer students a Professional Development Award (PDA) in software development. Building on its 16-week software development course, CodeClan has also launched a series of shorter, part-time courses aimed at those keen to expand on their technical knowledge or brush up on existing skills. CodeClan’s CEO Harvey Wheaton said: “We’re extremely proud of the progress we’ve made in our first year. We have built a team of incredibly talented instructors and created strong ties with the digital industry in Scotland. We have had great support from companies who see us as playing a critical role in helping create a sustainable future for Scotland’s digital economy. Working closely with industry, CodeClan’s curriculum is constantly evolving to keep abreast of technology trends and aims to ensure successful students enter workplaces with relevant experience and skills. 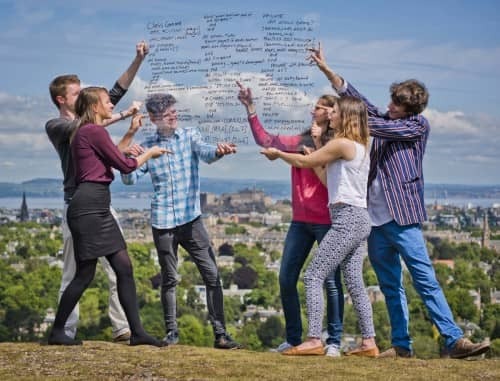 There is no ‘typical’ role for a CodeClan student, with posts filled ranging from junior developer and software consultant to website manager, digital product tester and tech entrepreneur. Industry led and government backed, CodeClan represents a new education model created to tackle the growing digital skills crisis in Scotland. It provides immersive, full-time and part time courses for those looking to change career, learn software development from scratch or to up-skill on previous coding knowledge. Deputy First Minister, John Swinney, said: “More than 82,000 people in Scotland work in digital and ICT occupations. That number is going to rise, with businesses across the economy looking for more women and men with the necessary digital skills and qualifications. That is why the work of CodeClan in providing new, job-ready talent is so important. The Skills Investment Plan for ICT and digital from Skills Development Scotland has identified around 11,000 job opportunities a year in a variety of roles within the sector, rising by 2,000 every year. This includes traditional businesses needing higher levels of technology skills, international technology businesses, and global software development companies right through to pioneering startups in data analytics, fintech, apps development and cyber security.